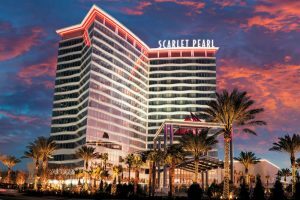 Daily fantasy sports operator DraftKings has further ventured into the growing US sports betting field through a recently penned agreement with Scarlet Pearl Casino Resort in D’Iberville, Mississippi. Their partnership will see DraftKings launch its first physical sportsbook. The DraftKings at Scarlet Pearl Sportsbook is set to debut on Friday, November 16. The facility will replace Scarlet Pearl’s existing PRL Bar. Patrons will be able to place their bets on a number of different sports, including college and professional football. In a press release from earlier today, the DFS company also said that that its sportsbook will be offering live, in-game betting with three windows. The facility is anticipated to launch on-site kiosks and an on-premise mobile app pending regulatory approval from the Mississippi Gaming Commission. While the sportsbook at Scarlet Pearl Casino will be DraftKings’ first physical betting facility, it should be noted that the company is no stranger to sports betting. In industry first, it launched its debut mobile betting app in New Jersey on August 1 with its local partner, Resorts Casino Hotel. DraftKings has helped its Resorts become the leader in the provision of sports betting services in New Jersey’s nascent betting market. The Atlantic City casino property reported overall sports betting revenue, including digital and revenue generated from its physical sportsbook, of more than $8.8 million in September. October figures are yet to be released by the New Jersey Division of Gaming Enforcement. As mentioned above, DraftKings has originally commenced operations as a daily fantasy sports operator. However, the company intends to extend its sports betting footprint further as the US market is expanding rapidly, following the mid-May decision of the US Supreme Court to strike down the long-standing federal ban on wagering on professional and collegiate sporting events. In a recent interview for Yahoo Finance, DraftKings’ CEO, Jason Robins, said that his company was gearing up for a time when sports betting would become its main source of revenue. Currently, DFS contests are DraftKings’ main product. Mr. Robins added that while waiting for sports wagering to take over as their main operation, they recorded an increase interest in their fantasy product as people have been responding to the overall excitement created by the latest betting developments in the country. 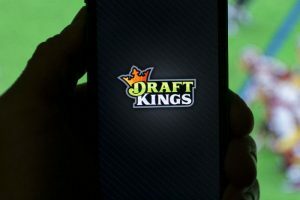 Moreover, residents of states where betting was yet to be legalized were trying out DraftKings’ DFS offering while awaiting the arrival of legal sports betting, Mr. Robins added during his recent interview.